Western Kentucky's reputation for superb fishing draws hundreds of thousands of fishermen to the area each year. With two major lakes, 4 huge rivers, and plentiful smaller fishing venues, Western Kentucky is a fisherman's paradise. 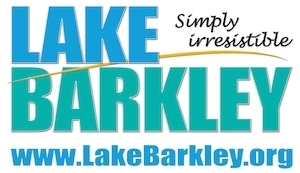 Lake Barkley is 118 miles on the Cumberland River. There are 1,004 miles of shoreline at normal summer pool (elev. 359) and 108,963 acres of land and water (this includes 51,168 acres of fee and easement land area above summer pool). Lake Barkley is shallower than Kentucky Lake, offering a different style of fishing for the same species. The cities of Eddyville and Kuttawa nestled in Lyon County and just minutes from Interstate 24 provide all the charm and necessities of rural America. Lyon County is well known for its scenic beauty. There is hiking, camping, fishing, hunting, boating, anything for the outdoorsmen in each of us. In addition, there are numerous activities locally and within a few miles of driving distance. There is an unbelievable amount to do and see in the area. Bordered on one side by Ky Lake and the other by Barkley Lake the “land in between” winds for miles; trails, exhibits, bison, and all manner of wildlife inhabit this unspoiled land. It’s all part of a national park with a million miles of winding shoreline and coves and crannies for boaters, anglers and campers. The entrance to Land Between the Lakes is a short 9 mile drive. Cultural attractions are also a part of the lure of the area. Paducah, recently featured in the New York Times, is a storybook revitalization project and only 25-30 minutes away on I 24. The Carson Center there is one of the nicest entertainnment halls you’ll ever see, with some great acts, certainly way beyond what you would expect in a small city. Also check out the Marketplace Theater, downtown restaurants and events. The city opened its door to artisans of all sorts a few years ago and they have rebuilt the city with a flair. Nashville, Tennessee is an hour and a half (an easy all interstate drive - Interstate 24). Nashville, with its sites and sound, with its talent and shows, is truly the destination city of the south. Jan 28.0 F° 37.5 F° 47.0 F° 4.1 "
Feb 32.0 F° 42.0 F° 52.0 F° 5.3 "
Mar 39.0 F° 51.0 F° 63.0 F° 4.5 "
Apr 48.0 F° 60.0 F° 72.0 F° 4.5 "
May 58.0 F° 69.5 F° 81.0 F° 4.9 "
Jun 67.0 F° 78.0 F° 89.0 F° 4.1 "
Jul 71.0 F° 82.0 F° 93.0 F° 4.0 "
Aug 69.0 F° 80.5 F° 92.0 F° 4.0 "
Sep 60.0 F° 73.0 F° 86.0 F° 3.4 "
Oct 51.0 F° 62.0 F° 73.0 F° 3.8 "
Nov 40.0 F° 50.5 F° 61.0 F° 4.5 "
Dec 30.0 F° 39.5 F° 49.0 F° 4.4 "
Spring temperatures are cool with averages in the low 60's and highs in the low 70's. Nights are cold with lows in the upper 40's. Summer temperatures are warm with averages in the low 80's and highs in the low 90's. Nights are mild with lows in the upper 60's. Fall temperatures are cool with averages in the low 60's and highs in the low 70's. Nights are cool with lows in the low 50's. Winter temperatures are cold with averages in the upper 30's and highs in the upper 40's. Nights are cold with lows in the upper 20's. There are many volunteers who are actively involved with our local festivals and events.